Placing telemarketing calls to wireless phones is – and always has been – illegal in most cases. Consumers report receiving emails saying they’ll soon begin receive telemarketing calls on their wireless phones. The confusion seems to stem from discussions in the wireless phone industry about establishing a wireless 411 phone directory, much like your traditional (wired) 411 phone directory. A number of email campaigns seem to suggest that if your wireless telephone number is listed in a wireless 411 directory, it will be available to telemarketers, and you will start to receive sales calls. In addition, some of these email campaigns suggest that there is a separate do-not-call “cell phone registry,” which you must call to have your wireless phone number covered by the do-not-call rules. This information is inaccurate. Even if a wireless 411 directory is established, most telemarketing calls to wireless phones would still be illegal. For example, it is unlawful for any person to make any call (other than a call made for emergency purposes or made with express prior consent) using any automatic telephone dialing system or any artificial or prerecorded voice message to wireless numbers. This law applies regardless of whether the number is listed on the national Do-Not-Call list. The federal government does not maintain and is not establishing a separate Do-Not-Call list for wireless phone numbers. Wireless phone subscribers have always been able to add their personal wireless phone numbers to the national Do-Not-Call list, either online, or by calling toll-free 1-888-382-1222 from the phone number they wish to register. The do-not-call rules require callers that are not exempt from the rules to stop telemarketing calls 30 days after you register a number. 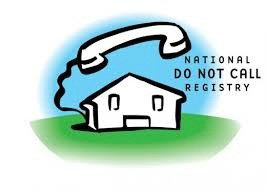 There is no deadline for registering a number on the national Do-Not-Call list. There is also no longer any need to re-register a number – it will stay on the national Do-Not-Call list until you cancel your registration or discontinue service. Read more.